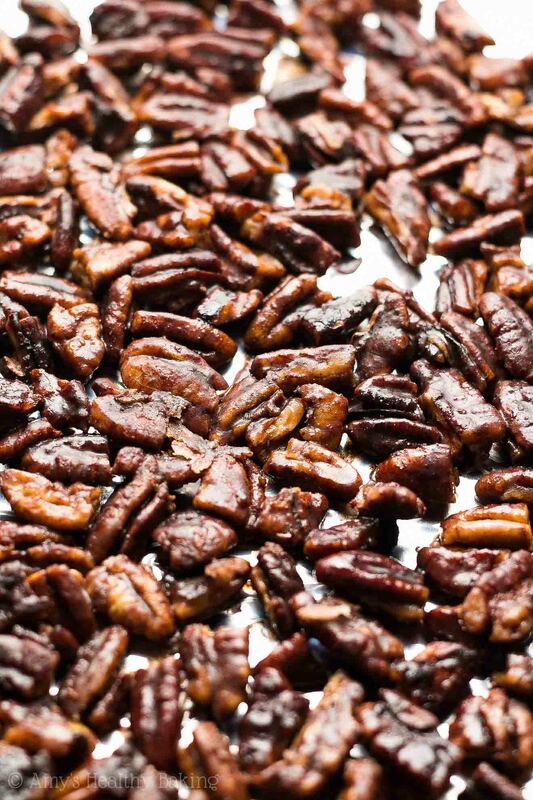 An easy recipe for crunchy pecans with a sweet, cozy spiced coating! They just take 5 minutes to make! No butter or sugar in this guilt-free recipe! Shortly after college, I lived in a house in a quiet neighborhood. Because of the expansive grassy park down the street, along with an elementary school just past that, families with young children occupied many of the other homes. I guess I had practically trained the kids like Pavlov’s dogs… Oops! After thanking her, I quickly popped one into my mouth. Sweet and crunchy, with a kiss of cinnamon… No wonder they were so popular with her family! I had to stick the bag on the tallest shelf in my pantry, the one that required me to hop up on a kitchen chair to reach, to prevent myself from eating them all in one sitting! With the holidays quickly approaching (eep! 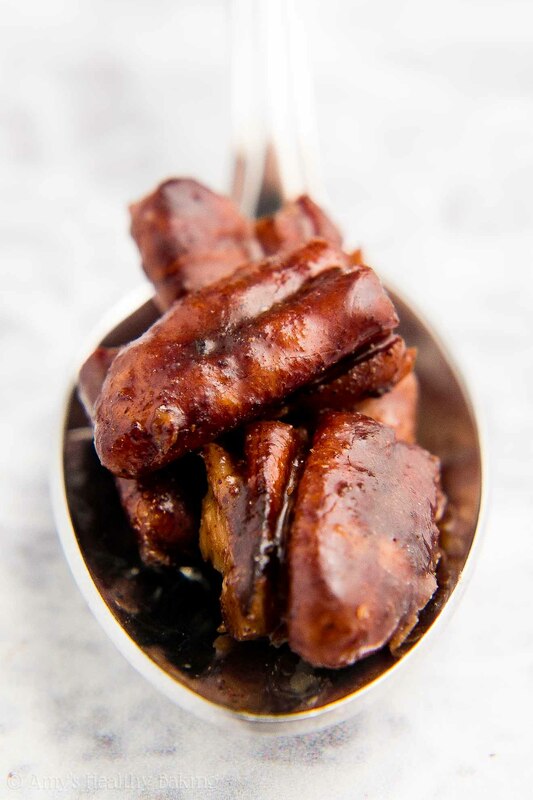 ), I wanted to do something similar for my family, but since many of them are allergic to walnuts… I whipped up these Ultimate Healthy Candied Pecans instead! 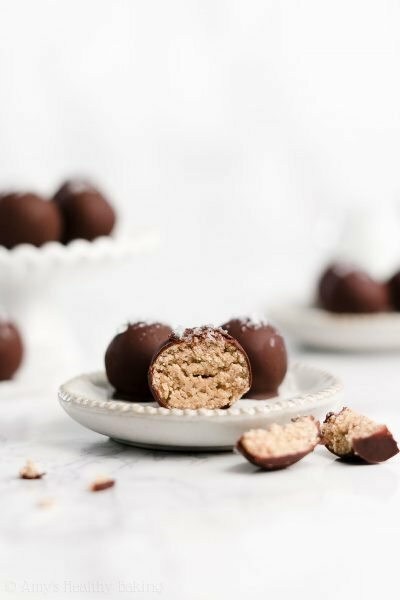 They have the same warm, cozy, oh-so-incredible flavors as my neighbor’s famous candied walnuts, but these actually contain no butter or refined sugar! Bonus: They just take 5 minutes to make! Although… Come to think of it… That could actually be dangerous. Very, very dangerous… If you know what I mean! ? 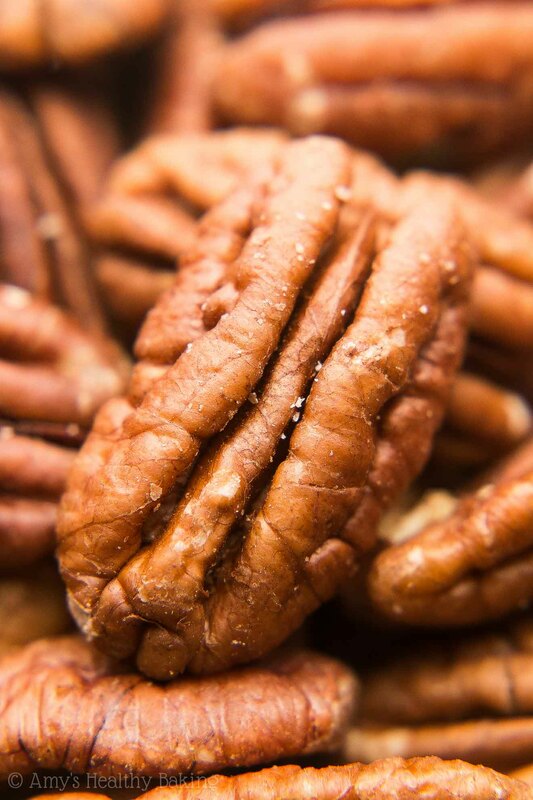 To make these simple treats, you’ll need… Pecans! Both halves and pieces work. I actually prefer pecan pieces because you end up with a larger coating-to-nut ratio. Extra sweetness and spice always sounds good to me! Add those to a large nonstick pan, and cook them for a few minutes until they smell fragrant. This quick toasting step brings out their warm nutty flavor! Then you’ll add the coating to your pan! It’s a mixture of water, granulated erythritol (this kind! ), cinnamon (I’m obsessed with this kind! ), allspice, and just a hint of salt. Yes, allspice! 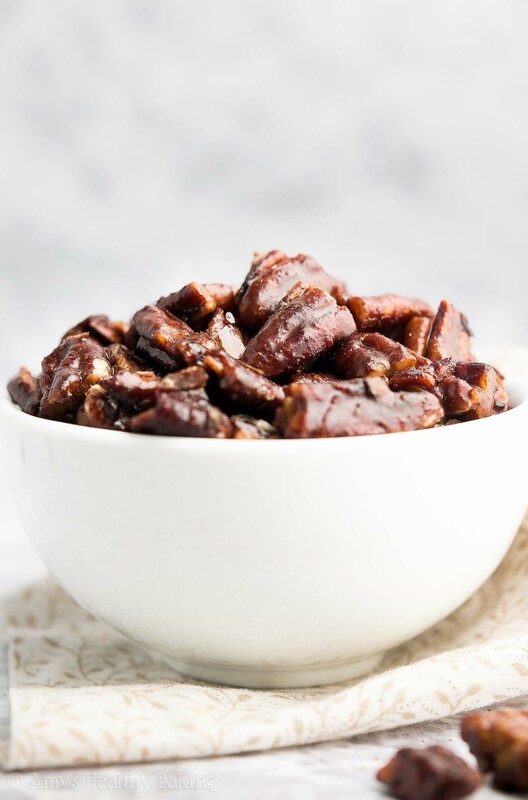 It isn’t usually included in basic candied nut recipes, but it adds a sweet warmth, similar to cinnamon, that really rounds out the taste and takes the flavor to a whole new level. Trust me! Remember, erythritol is a plant-based, no-calorie sweetener that contains nothing refined or artificial (aka it’s clean-eating friendly!). 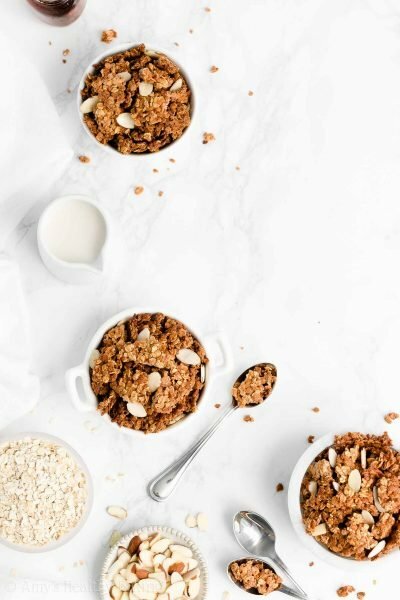 I’ve tested this recipe with a few different products, and this one is my favorite! It caramelizes just like granulated sugar, which means it forms that hard, crunchy coating. (No lingering stickiness here!) It also tastes perfectly sweet without any strange aftertastes. Hooray! You can find it at many health-oriented grocery stores, as well as online here. Back to cooking! You’ve added your coating mixture to your pan… So stir stir stir with a spatula to coat the pecans. Keep that spatula moving so you don’t burn the sweet coating! Once it has fully covered your nuts and the water has evaporated, quickly spread them out onto a sheet of foil in a thin layer. It really helps if they aren’t touching their neighbors! Then wait for 15-30 minutes until the coating has hardened, and break apart any large clumps. Or eat those first—I won’t judge! 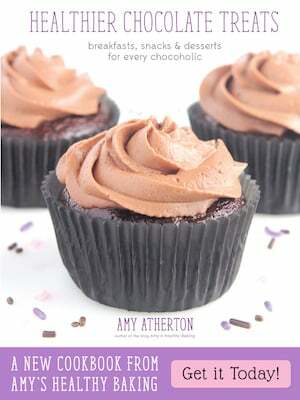 I think I may make a double batch next time… One for me and one to share! ? And when you make your own, remember to snap a picture and share it on Instagram using #amyshealthybaking and tagging @amyshealthybaking IN the photo itself! (That guarantees I’ll see your picture! ?) 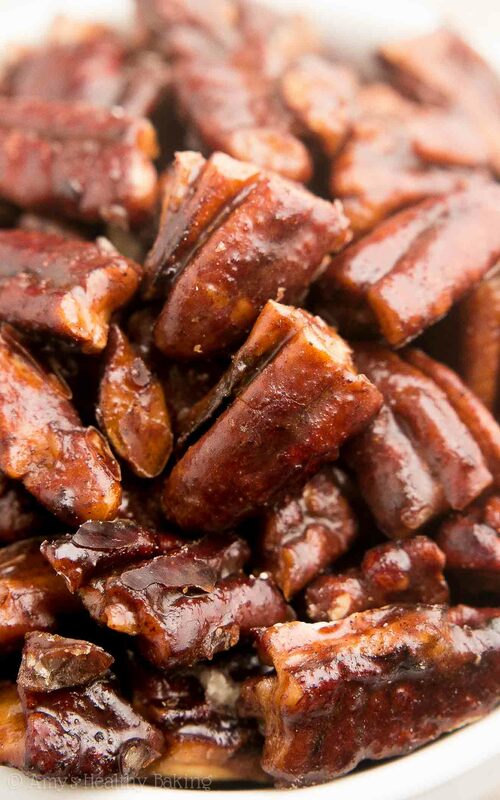 I’d love to see your ultimate healthy candied pecans! 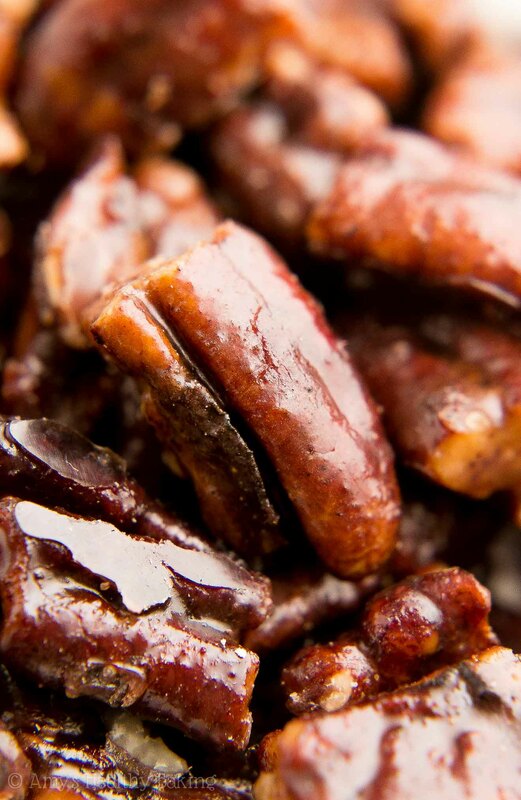 I may be biased but… These are definitely the best candied pecans I’ve ever had! 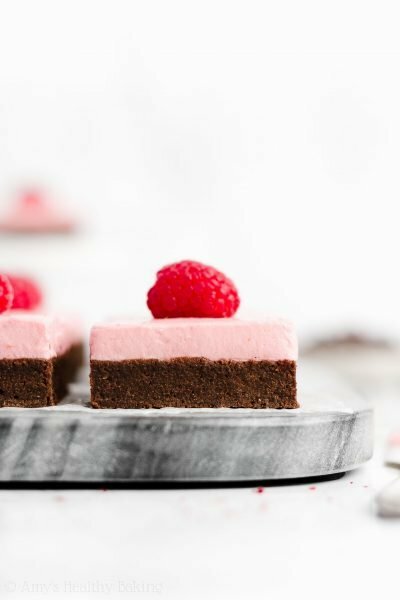 I absolutely love how simple they are to make, and they’re perfect for hostess and holiday gifts! They’ll keep for at least 3 weeks (if not longer… I just seem to eat all of mine before then!) if stored in an airtight container. In a small bowl, stir together the erythritol, cinnamon, allspice, and salt. Stir in the water until all of the ingredients are incorporated. Add the pecans to a small pan, and cook over medium-high heat, stirring frequently, for 2-3 minutes or until fragrant. Reduce the heat to medium, and add the cinnamon mixture. Stir constantly with a spatula until the pecans are completely coated. Transfer the mixture to the prepared foil. Let the pecans cool completely to room temperature, and ensure the coating has hardened and turned crunchy before breaking apart any clumps. Notes: I highly recommend chopping the pecan halves! This creates more surface area, so you’ll have a larger cinnamon-coating-to-nut ratio. This is the granulated-style erythritol that I use. You can find it at many health-oriented grocery stores or online here. Granulated sugar or brown sugar can be substituted for the granulated-style erythritol. If you’re a fan of spice like me, then increase the cinnamon to 1 teaspoon and the allspice to ⅜ teaspoon. Dreaming of childhood! The recipe sounds delicious! It was so fun to read about “Is it Amy??”. Guess, we all have a favorite auntie who brings sweets! Thank you, Amy! You’re so sweet Stefania — thank you!! 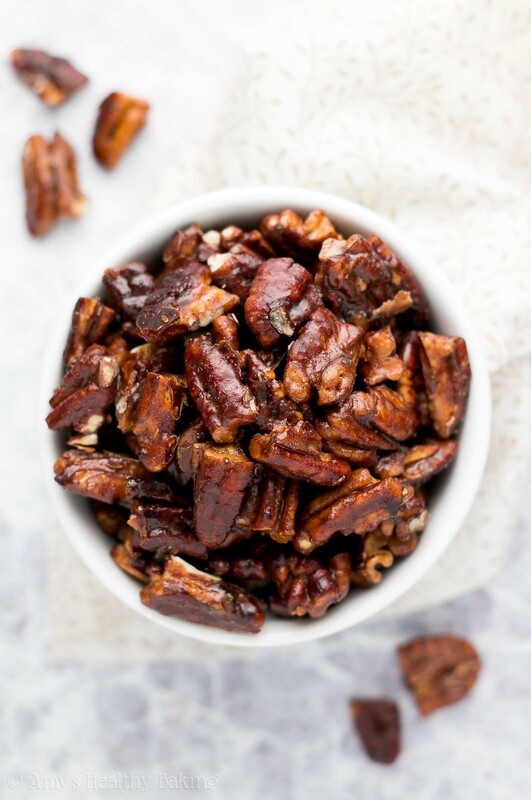 🙂 I’d love to hear what you think if you try these candied pecans! Hi,I am going to copy your ultimate healthy candied pecans recipe and I am going to make your recipe after I go to the grocery store to buy the ingredients to make your recipe,as well as to make some of your other smoothies that I haven’t tried yet.I will let you know soon how much my mom and I love your candied pecans recipe. any subs for the listed sweetener?Sugar alcohols cause severe gas, bloating and pain.Not cane sugar, was wondering about stevia. I’m not sure I understand what you’re asking Dorothy… There is no liquid sweetener in this recipe! Only granulated stevia. 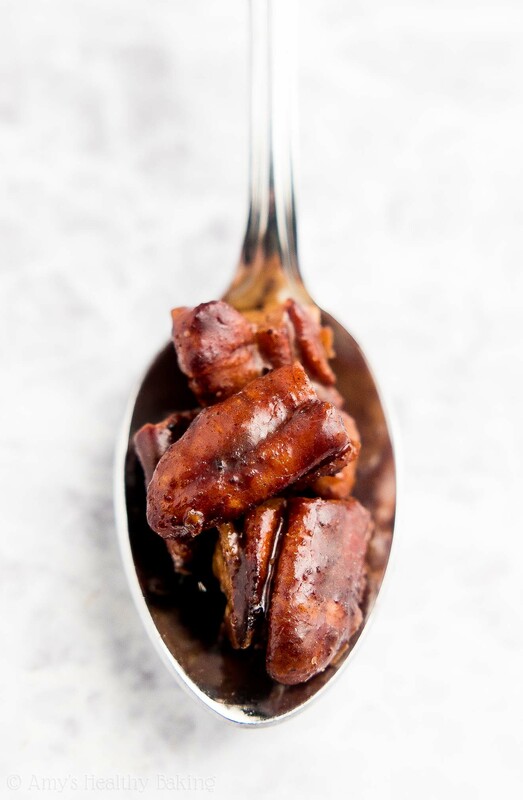 🙂 I’d love to hear what you think if you try these candied pecans! Wow, I don’t care much for pecan pie (too sweet) but your photos got me cravin’ some. You’re so kind Nicole — that’s the best kind of compliment! 😉 Thank you! If you click on the pink text (my links are pink! ), then you’ll actually see that’s the exact product that I used. 😉 I can’t wait to hear what you think of these candied pecans, Sonia! Hi. 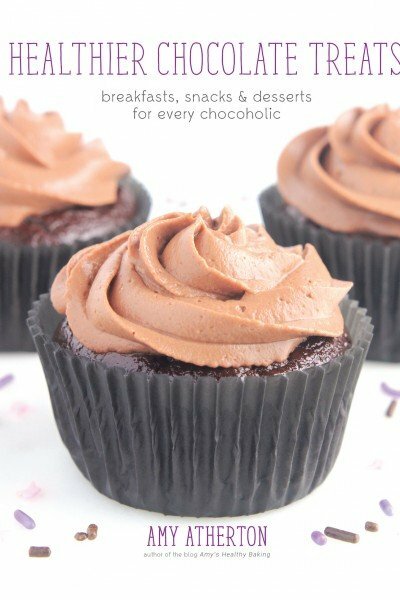 I am making these right now! One thing that confused me in your recipe is you say “Stevia” but it links to “Swerve.” Which is great because I like Swerve and dislike Stevia. Swerve is erythritol. Stevia is … well, Stevia. Lol Not be a recipe police, but I was so much happier when I realized that I could use Swerve!!! Darn it! I think I just burnt them! I really appreciate your interest in my recipe, and thanks so much for catching that typo! All fixed! 🙂 I can’t wait to hear what you think of these pecans Heather!! Omg.. this is the best recipe ever! I just made it with lakanto powdered sweetener with a splash of liquid sucralose. Ansolute yummmmm. Thank you so much! 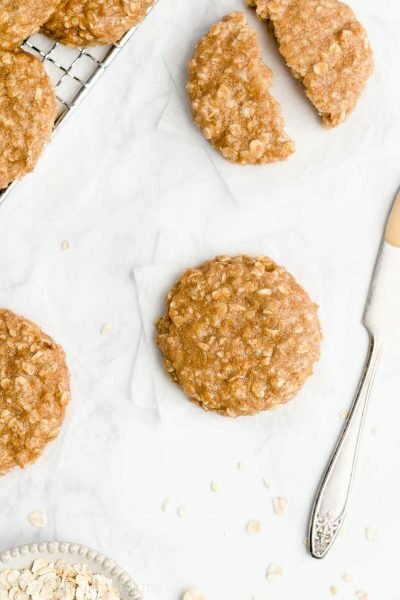 I just made these with Pyure Stevia Blend, (erythritol and stevia) and they are fabulous! Melt in your mouth just like the ones I get the local fair. I’m trying with cashews next.